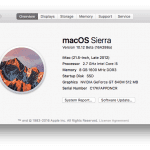 If you’ve recently received an Apple notebook as a gift or just want to know how to configure you Mac’s trackpad, read on! Multi-touch trackpads are one of Apple’s flagship features on the latest MacBook Airs and Pros. This is because they add a ton of functionality to OS X Lion as well as other third party apps. 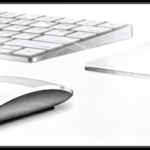 In this tutorial we will be showing you how to configure your MacBook’s trackpad. 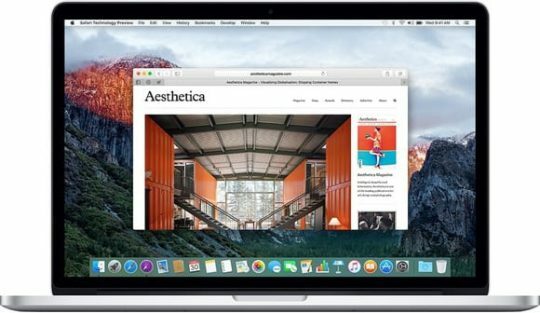 While this tutorial doesn’t require any additional software, it requires OS X 10.7 or higher and a Mac with a multi-touch trackpad. To start, launch System Preferences. Once it has completely launched, look under the header labeled “Hardware”. This header is located towards the top of the System Preferences window. Under this header you will see an option labeled trackpad. Click on this option. Look towards the top of the window, you will see three different tabs. Click on the “Point & Click” tab. When you do this you will see five different options. The first option is labeled “Tap to click”. This option enables you to tap your trackpad without completely pushing your trackpad down. Turn this option on if you would like to use your Mac silently with no “clicking” noise when the trackpad is clicked. To turn this option on, check the checkbox that is located to the left of the option. The next option is labeled “Secondary Click”. When enabled, this option allows you to right-click without holding the command key. After you enable this option, you can choose how you would like to trigger a right-click. You can do this by clicking on the drop down menu that is located under this option. Under this option is another one of my favorite trackpad options, “Look Up”. When enabled, you can double click with three fingers to define the selected word. This is an awesome feature if you’re an avid eBook or blog reader. The final option labeled “Three Finger Drag” allows you to use three fingers to move a window. This feature is awesome if you always have multiple windows open and need a quick way to move them. Click on the tab labeled “Scroll and Zoom”. The first option is labeled “Scroll Direction: natural”. When enabled, reverse scrolling will be activated. 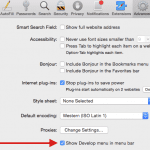 Reverse scrolling is a more natural way to scroll using your Mac. If you’re in iOS user, the next two options will seem very familiar to you. The “Pinch to zoom in or out” option is the same as pinch-to-zoom in iOS. “Smart zoom” is equivalent to double tapping in iOS. The “Rotate” option is a great option to enable if you work with iPhoto, Aperature or Preview a lot. This is because you can easily rotate pictures by simply putting two fingers on the trackpad and moving them in a circular fashion. Finally, click on the tab labeled “Other Gestures”. The first option on this page is labeled “Swipe between pages”. When enabled, you can use two fingers to swipe between web pages, slides, etc. The next option is labeled “Swipe between full screen apps”. This option lets you use three or four fingers to swipe between desktops and full screen apps. This is very useful if you plan on keeping multiple windows open in full screen. The “Mission Control” option will let you launch Mission Control by using a trackpad gesture. You can set this gesture by clicking on the drop down menu that is located below the Mission Control option. The same goes for the “Launchpad” option except it launches the Launchpad app instead of Mission Control. The “App Expose” option lets you view all of your open applications in one central location. This is an interesting option as Expose was discontinued in OS X Lion with the introduction of Mission Control. The last option is labeled “Show Desktop”. This option is pretty self-explanatory as it lets you view your desktop by using a trackpad gesture. You can set this gesture by clicking on the drop down menu that is located under this option. Thanks for reading this Apple Toolbox tutorial. Check back soon for more Apple related tutorials, reviews and news.